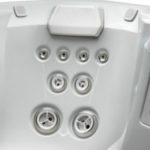 These jets target the feet, shoulders or back and can be adjusted to provide a direct stream, stationary or rotating massage. 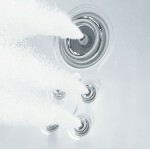 Featuring easy-to-adjust directional nozzles for maximum targeting performance these jets are designed to let you target specific areas of your body. 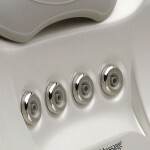 These jets soothe your back, neck, and calves with adjustable nozzles for a customizable massage right where you need it. 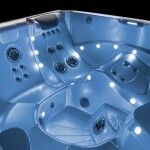 This exciting new system has multiple points of light that illuminate the entire spa interior. 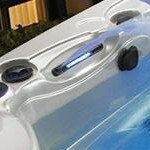 It also includes points of light located behind the Vidro waterfall, and also in each of the four corners of the bartop. 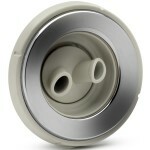 The Raio lighting system features six color options. The Vidro Waterfall dishes out a constant thick fan of water towards the spa's center. 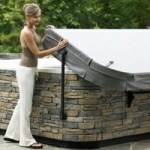 Both visually and audibly appealing it truly makes the spa a backyard oasis. 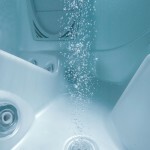 Enjoying fresh, clean spa water should be an everyday experience as a spa owner. 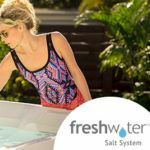 The EverFresh® Water Care System makes it easy to keep your water clean and clear, while reducing the need for chlorine. 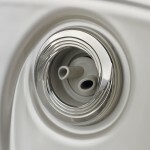 This easy-to-use system combines the cleaning power of the FreshWater® III high-output ozone system with FreshWaterAg+® continuous silver ion purifier, and MPS non-chlorine oxidizer for lasting protection against contaminants and minimal need for chlorine. 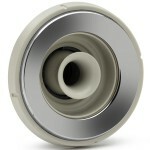 The No-Fault® Heater-No Worries. 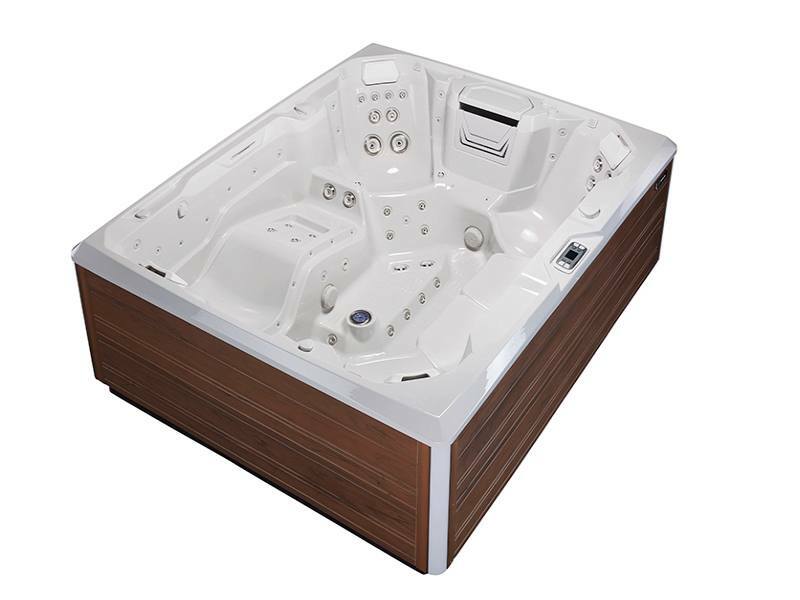 Hot Spring leads the industry in advanced heater technology. 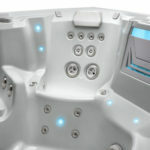 The heater is typically the most vulnerable component of a hot tub, due to the combination of high heat, water and spa chemicals. 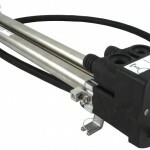 Our unique No-Fault heater's elements and housing are made of titanium for unmatched corrosion resistence. 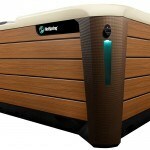 Unlike other spa warranties, your No-Fault heater warranty is valid for five years-regardless of water chemistry. 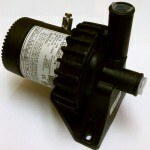 In a Hot Spring® spa, the SilentFlo 5000® circulation pump works continuously, filtering the spa’s water for 24 hours a day. 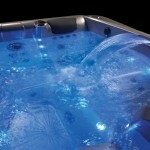 It’s totally automatic, so there’s no need to program long cleaning and heating cycles as in other spas. 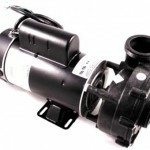 Nor do you have the wear and tear, energy drain or noise of a large jet pump running during those cycles. 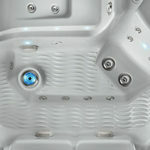 Operating silently and efficiently, your Hot Spring spa is always hot, clean and ready to enjoy. 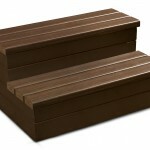 This premium spa step, made from rigid polymers, requires very little maintenance and is specifically designed to match the Hot Spring spa Everwood cabinets. Embossed wood grain and rich color combine to give it a natural wood appearance. 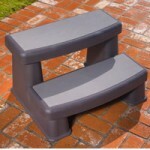 Available in Coastal Gray, Espresso, and Redwood. 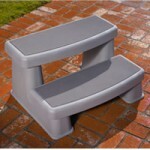 This economical 32” step is durable and lightweight. 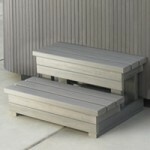 Available in Coastal Gray, Espresso and Redwood. They’re also recyclable. This premium 32” step is an enhanced version of our industry-leading Everwood step, specifically designed to match the new Hot Spring Everwood HD cabinet. 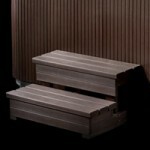 These premium spa steps are made from rigid polymers, requires very little maintenance. 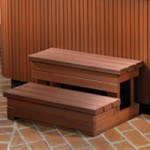 Embossed two-tone wood grain and rich colors combine to give it a natural wood appearance. 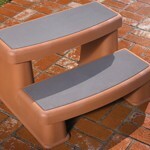 Available in Teak, Monterey Gray, and Mocha.